No one believes the state’s top court is nonpartisan anymore, not after a decade in which the most conservative justices were delivered $10 million in outside money from the likes of Wisconsin Manufacturers & Commerce, Club for Growth, the Koch brothers, the Wisconsin Alliance for Reform and other right-wing channeling groups. Their members often appear in cases before the high court but it is usually impossible to find a direct quid pro quo. “Often the person who benefits from dark money knows, but the public never knows,” says Jane Mayer, the New Yorker writer who has been a pioneer in tracing dark money. The Citizens United decision of 2010 allowed full financial weight from very rich individual donors, forever tainting our definition of free speech. In a current case, Richard Uihlein is spending $3.5 million for someone no one heard of, Kevin Nicholson, to scare away other Republicans and take on Tammy Baldwin for a Senate seat next November. So worried were Democrats about that big money this past spring that Justice Annette Ziegler ran unopposed for re-election and now has been forced to return 70% of the campaign money she tucked away since she didn’t need to spend it – and that was more returned than many state campaigns cost. That sense of futility breeds cynicism in the electorate and a demand for ideological absolutism from every candidate. No nuance, just tell me where you stand, how you’ll vote in every case and how much you feel my pain – and maybe then I’ll vote for you. Is that the way to choose judges? By wink and nod or by historic experience, the dark money knew what they were going to get from these conservative justices, and they did deliver such things as overturning lower court decisions, upending union rights, affirming right to work and restricting John Doe investigations. But are we the people giving up? Or learning? The high court mainly sets the rules for the road and rarely deals with criminal cases, yet the right wing has successfully and falsely painted their candidates as “law and order” judges -- as if that means anything. “They’ve been asking the public to pick a sheriff not a judge,” several jurists sarcastically told me. The conservative five are very chilly to accusations that the dark money coming into their campaigns influences their decisions. Even when 56 (!) former judges petitioned them to recuse themselves in cases where they received inordinate money from the plaintiffs, the five refused to act and even passed rules making the deliberations secret and formalizing how they could take a lot of money without being questioned. They also disbanded the judicial oversight council. Such behavior has been a blatant tell to the voters that you have to be very rich to get a favorable hearing. But the critics aren’t going away and insist the picture is not as bleak as it seems. These court watchers say we are wrong to think of 5-2 being an immovable bloc. There is a lot of crossover, cases where the conservatives can be influenced by the thinking of more liberal Ann Walsh Bradley and Shirley Abrahamson. One court insider describes it this way: “The newbies on the court (Rebecca Bradley and Daniel Kelly who have a lot of Scott Walker connections) may have walked in with an agenda, but Patience Roggensack and Annette Ziegler are not quite where the newbies are.” Michael Gableman is a self-impaled lame duck whose promised departure has created the current contest. So the public should look for someone who can reach into this mix and stir up strong legal arguments. That can make a difference now as well as tomorrow, knowing that even 4-3 decisions are examined more closely by federal courts than 5-2, or so it historically seems. Aside from that, while the justices are supreme within the state, some of their cases involve US Constitution issues that move into the federal system. The big campaign money being thrown around in Wisconsin clearly has SCOTUS quite concerned. by the direction of the top court. 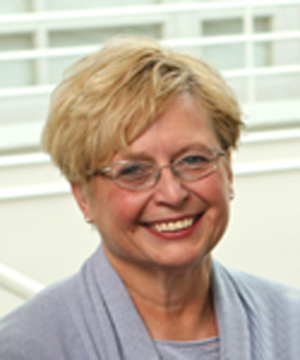 “I would like to associate a kind of purity to being a justice,” said the highly regarded Janine Geske, who resigned from that high court in 1998 and since has served as interim Milwaukee county executive as well as professor at Marquette University and a world leader in restorative justice policies. There’s also the public’s problem of thinking of judges as typical political candidates. The public seldom realizes how judicial candidates are restrained by ethical rules and nonpartisan designation from lobbying for their own campaign funds. One judge shared how this is done no matter the needed war-chest (which has ranged from $20,000 to $200,000 in local races). But how will that square in the current intemperate political climate? The spring election serves as prelude of turnout in the November contests and this is a hot-blood year. The high court term was deliberately set at 10 years to rise above topical politics, but that takes years of one by one electorate decisions to change the balance of the court. Many voters no longer seem to have the patience for such inching ahead. Some believe the Wisconsin public has been robbed so long of a fair high court that it should demand to know where a candidate stands and telegraph what he or she will decide. This seems to be the crux of the argument facing voters in the February primary and April election for the high court – notably between Tim Burns, the Madison lawyer, and Rebecca Dallet, the Milwaukee circuit court judge, both courting what we refer to as Democratic votes. There is a third candidate. 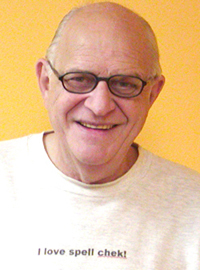 Despite his more centrist Sauk country record as a judge, Michael Screnock‘s campaign is larded with GOP supporters. He may be truly running – or a placeholder for one of Walker’s chums in the wings. If Gableman – who is pursuing other jobs – steps down before December 1, Gov. Walker gets to appoint a replacement who could then run in April with “incumbent” in front of the name. This is what Walker did last year to give Rebecca Bradley an edge. Three times now – circuit court, appeals court and supreme court – she has first advanced through Walker appointment rather than public election, so the big money in her campaign carried more weight than if she had started out cold. In some ways Burns and Dallet are quite similar. Both are married to lawyers. Both are raising three children. Both agree with those 56 judges and criticize the way the current court is behaving. Both insist that a judge must be fair and impartial. Both want to be seen as agents of change. He pledges to be fair and impartial on the bench but says it is a “fairytale" to believe politics don't influence judges. "We just have to be real candid about that," he said. The high court, she added, is “doing this already, it's been going on. Well, it needs to stop." Burns’ campaign manager, Amanda Brink, points to a US court decision (Republican Party of Minnesota vs. White) that allows candidates to express opinions and adds that voters want to be clear on what they’re getting. 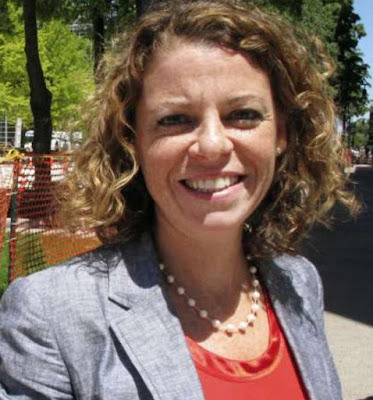 She knows – and I confirmed -- the Burns camp has been calling Dallet a conservative in phone calls to Milwaukee officials. And there were some snide press releases built around Dallet advancing her own campaign $200,000, though Burns clearly has also made good money and could do the same. That $200,000 seems to represent two-thirds of her and her husband’s annual income. It’s a far cry from the Dark Money Party. Ironically both candidates are using robocalls to gain support – Burns in his own voice seeking a statewide network of support, Dallet using a campaign voice to solicit backing. As a sign of how early it is in staffing these campaign, both phone lines send you into a queue. Supporters also worry that she is not well known in the rest of the state as in Milwaukee. Burns has never been a judge and deals with insurance cases while Dallet has been on the bench for eight years. So her record, including a long stint on homicide court, can surely be picked apart. I found many judges who support her and others who are more cautious. It has something to do with who she previously supported in their own election but it’s also about waiting to hear more about where she stands on issue – within the confines of judicial ethics. Much of this debate between them brought to mind the primary against Rebecca Bradley last year by two good candidates for change – once again it was Madison reputation vs. Milwaukee reputation. 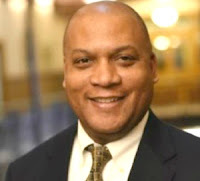 Appeals court judge JoAnne Kloppenburg easily edged Milwaukee circuit court veteran Joe Donald, an African American, but then was beaten soundly by Bradley in a presidential sweepstakes vote that saw Ted Cruz (remember?) run over Trump. There were understandable reasons for Kloppenburg’s earlier support. Many Democrats think she was robbed in 2011 when she ran against David Prosser (since retired). It actually seemed she had won that election night – until enough missing votes were found in Waukesha County to put him over. In Waukesha. After the fact. It sure sounded fishy and the smell of injustice lingered into 2016 – her supporters were convinced she deserved a seat on the high court. But her race against Donald also had an ugly side. Her campaign ran negative against the affable jurist, questioning his progressive credentials. The Kloppenburg team decided to attack him on his collegiality as judge when Rebecca Bradley was appointed in Milwaukee, though Donald is known for being friendly to all judges, had progressively pushed the court into new waters and was actually a more telegenic candidate than Kloppenburg. The effort to paint him as not progressive enough stuck hard. Could that be the game plan this time? Is Dallet’s reluctance to tear the current high court apart piece by piece a case of ethics and wise anticipation of who she would have to work with? Or is it out of step with the times and the anger of citizens? We are an impatient society that has suffered for years, can’t stand the slowness of change and are eager to jump. Yet, perhaps unfairly, we also lean on the courts to correct the imbalance of a crazy gridlocked country, hoping the judges at least will offer moments of justice and rationality. 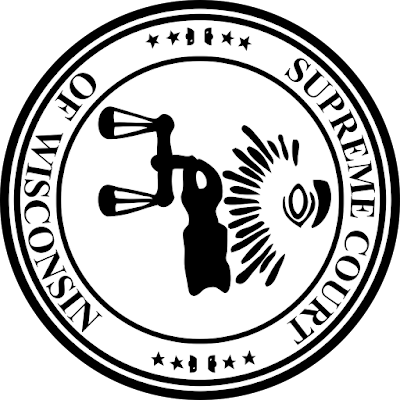 The current Wisconsin high court isn’t often doing that, but how do you get it there? The issue is now before the court of public opinion.